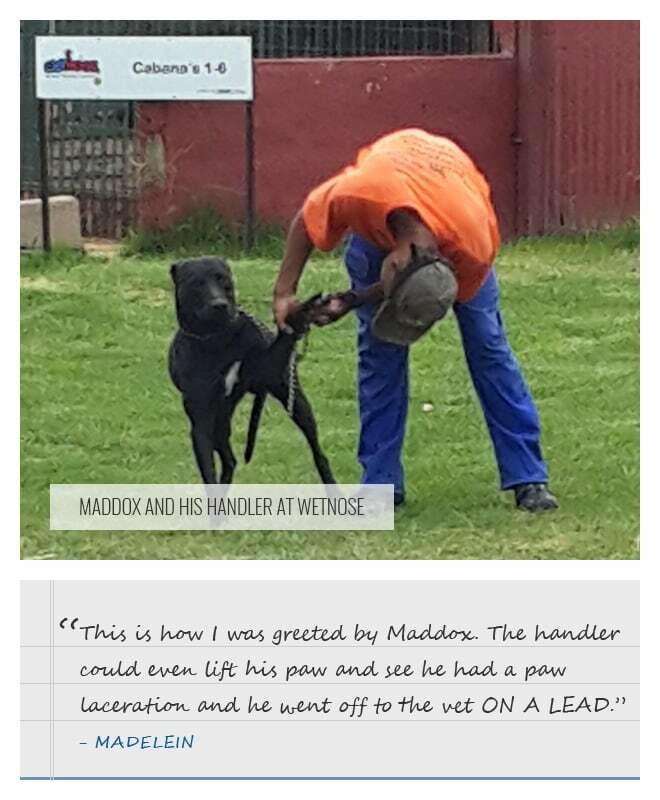 “Maddox has been at Wetnose [Animal Rescue Centre, South Africa] for a long time as well but the problem with Maddox is that he is confident aggressive. Meaning he WILL attack if you enter his cage or pass close by. He will even leap forward to bite and is declared very dangerous. Even so, his kennel was in another section where no visitors are allowed. This type of behaviour is unpleasant and NOT tolerated. So they gave Maddox until end of Feb to calm down or at least not to attack. At best, they just wanted to take him for a walk to get rid of anger and get some exercise. If not, he will he put to sleep end of Feb. He had a terrible past and his current behaviour isn’t fair to him or anyone trying to help him. 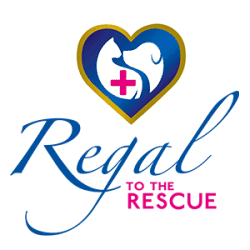 So they started Regal Stress and Anxiety Remedy. I was overwhelmed when I took the pics so I just have to make sure if they said he was on Regal for one or two weeks. This is how I was greeted by Maddox. The handler could even lift his paw and see he had a paw laceration and he went off to the vet ON A LEAD.